As a kid in the Seventies, I came to enjoy the Peanuts feature films – all three of them! Actually, a fourth came out in 1980, but as a 13-year-old, I’d pretty much “aged out” of such fare, so I didn’t see it. That left 1977’s Race For Your Life, Charlie Brown as the last Peanuts flick I saw on the big screen – I guess. Given my age at the time and my cinematic preferences, I’m sure I watched it, but I honestly maintain no memories of the experience. Even as an adult, I enjoy 1969’s A Boy Named Charlie Brown and 1972’s Snoopy, Come Home, so I figured I should reacquaint myself with Race. Charlie Brown (voiced by Duncan Watson) and the gang head to summer camp. Stuck in the middle of nowhere, “Camp Remote” lives up to its name and greets the kids with a less than idyllic experience. 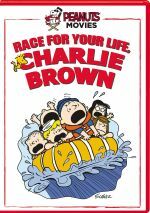 Charlie Brown finds himself bullied and decides to stand up to them via a raft race. Boy Named Charlie Brown offered great amusement, but it lacked much of a story, as it came across as a linked collection of short tales. Snoopy came with a tighter narrative but didn’t deliver as much wit and bite as its predecessor. Race falls somewhere between those two, as it gives us a moderate emphasis on the raft race but also presents the lighter, more comedic feel of Boy rather than the emotional weight of Snoopy. I might be overstating the movie’s narrative clarity, though; Race doesn’t feel as much like a conglomeration of comic strips as Boy does, but it tends to seem somewhat loose and slapdash. Essentially Race gives us a series of little comedic episodes linked by the raft competition. Is that enough to keep us occupied across its 76 minutes? I guess, but viewers who expect the highs of the earlier movies will find disappointment. This doesn’t make Race a bad film, but it seems a bit “dumbed down” compared to its predecessors. Peanuts may have appealed to kids, but it was a comic strip with real adult sensibilities and intelligence, and the best TV/film adaptations retained those qualities. At times, we get decent wit here, but let’s face it: by 1977, the Peanuts strip had lost a lot of its punch, and the movie’s script by Charles M. Schulz doesn’t regain the series’ strengths. Once Peanuts got to the mid/late-1970s, Schulz could still churn out the occasional memorable strip, and the material maintained decent amusement, but Schulz couldn’t compete with his legacy. I don’t view that as a failing. For a good 20 years or so, Schulz created an amazing body of work, so it comes as no sin that he couldn’t maintain that insane level of intelligence, insight and wit. Nonetheless, material from the second half of Peanuts’ roughly 50-year existence often seems rather bland, and that issue inhabits Race. At no point does it become a bad movie, but it also never threatens to turn into anything memorable. Instead, Race seems completely, resolutely, absolutely “there”. It gives us a mix of mildly amusing vignettes that make sure we stay vaguely involved with the tale and that’s about it. Fans could do worse but they probably won’t find much to make Race a memorable experience. 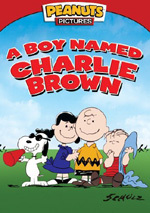 Race For Your Life, Charlie Brown appears in an aspect ratio of approximately 1.85:1 on this single-sided, single-layered DVD; the image has been enhanced for 16X9 televisions. Though not great, the picture usually looked pretty good. Sharpness seemed fine. The program presented nice definition and clarity, as I noticed only a little softness. I detected no signs of moiré effects or jagged edges, and edge enhancement seemed to be absent. Print flaws were a minor concern. Despite the movie’s theatrical release, it didn’t enjoy the best clean-up animation, and that trend made the image a little messy. In terms of actual print flaws, I saw a few minor blotches but not much; the film mainly seemed clean. < Colors came across well, as the tones usually presented nice vivacity. The show went with basic hues, and the transfer delivered them in a lively manner. Black levels remained acceptable and shadow detail - already not much of a concern in a brightly-lit cartoon - was fine. The transfer never became stellar, but it did enough right for a “B“. Unfortunately, the Dolby Digital Monaural soundtrack of Race came with some problems. Actually, it worked relatively well at the start, but around the 16-minute mark, it ran into issues. Prior to that point, the audio sounded fairly clean and smooth. At 16 minutes, though, a layer of hiss came into the mix, and high-end showed a distracting shrill edge that didn’t appear during prior moments. I hoped these issues would offer only a temporary nuisance, and the problems did subside after about 10 minutes – to a degree, at least. While the hiss died down and the overall impression seemed smoother, dialogue still tended to reflect that harsh vibe, and this continued for the rest of the movie. Because of this, the soundtrack was a mediocre mixed bag. Speech was always intelligible, but that edginess became a distraction. Effects sounded fairly clear, but they lacked dimensionality; even a scene that featured blasting failed to present low-end. Some distortion occasionally occurred. Music was the strongest aspect of the mix, though it didn’t give us much range either. The score showed acceptable clarity without a lot of punch. Due to its age, I felt this became a “C” soundtrack. In terms of extras, the DVD delivers a trailer and nothing more. The third Peanuts film, Race For Your Life, Charlie Brown doesn’t match up with its predecessors. While not a bad effort, it seems less witty and engaging than I’d expect. The DVD provides mostly good picture but suffers from erratic audio and a lack of supplements. Race offers middle of the road Peanuts.